The countdown to Christmas continues with only 18 days until Christmas! 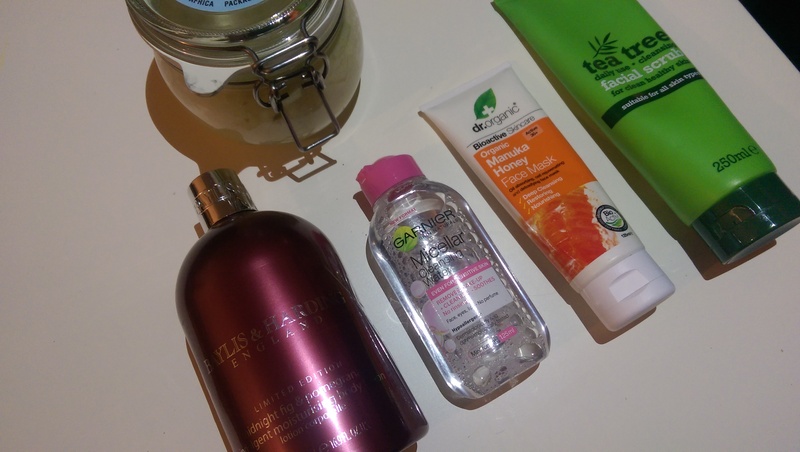 I thought why not update you guys with my skincare routine because its quite important to look after your skin. 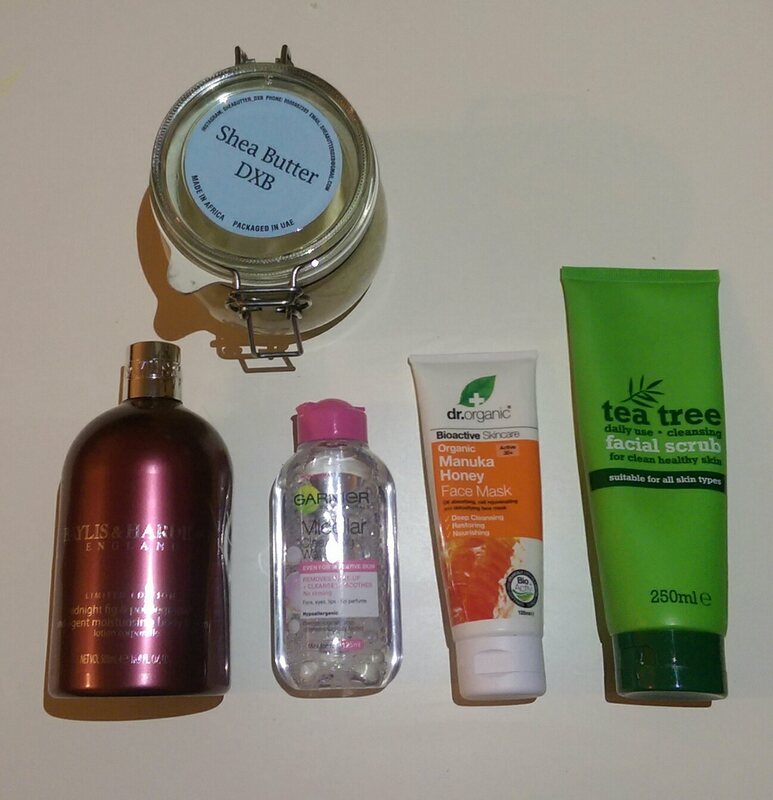 Also I’ve changed which products I’ve been using since I last did this post. So here go’s! 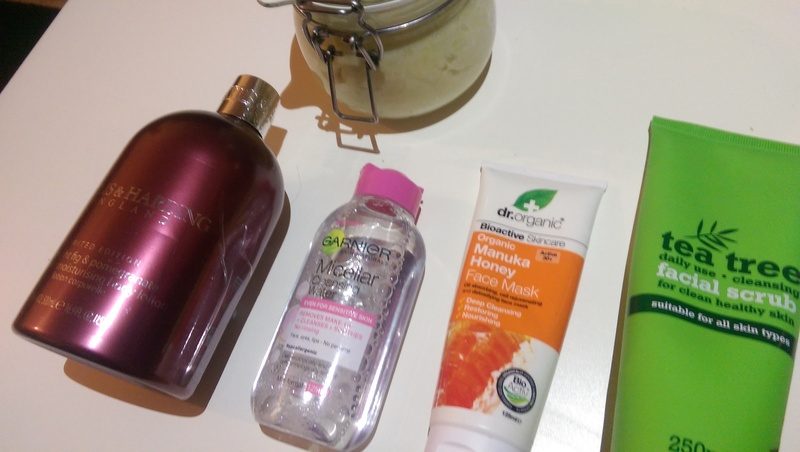 Manuka Honey Face Mask – Holland & Barrett. I never liked the idea of manuka honey until I tried it and honestly never say you dislike something until you’ve tried it because its most likely you’ll love it. This glides onto the skin so smoothly and gives such a soft and smooth finish. Garnier Cleansing Water – Boots. I bought this in the beauty haul I did. This isn’t that one I’ve been through 3 bottles and one of them being the 500ml one. I mean its so much more versatile fro removing make-up rather than the average make-up wipes you can tell the difference and its so much more beneficial for your skin. I love it! Tea Tree Daily Cleanser I love tea tree. This smells so nice as well as keeps your skin feeling fresh and is lovely to use everyday as part of my routine. 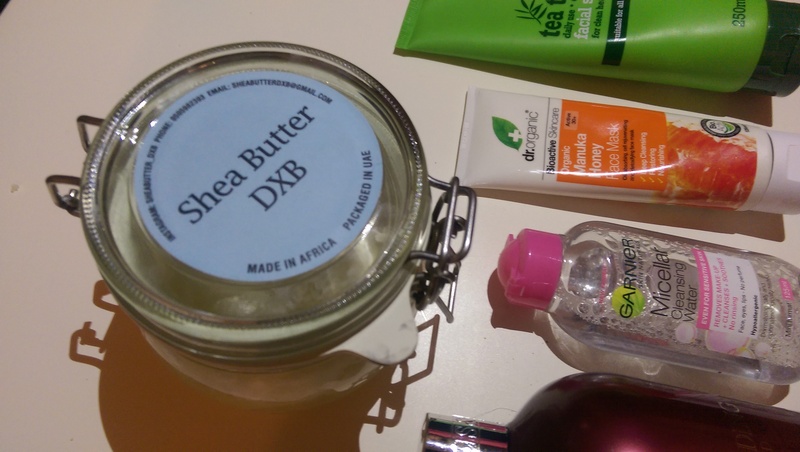 Shea Butter This is what I’ve just started using recently as I mentioned my dad took a trip to Dubai and also bought this back with him and I had a little read around it and honestly the things I’ve heard about it are so good and I’m guessing it will keep my skin healthy and clean I’ll let you know how it works out for me as I’ve just started using it. Fig&Pomergranet – Baylis&Harding. Finally, again I mentioned this in my autumn essentials the scent of this is luxurious I love moisturizing with this on my body as well as my face it just feels so light which is my favourite thing about it. What’s your current skincare favourite? Comment below. « Blogmas day 6// Crimson Red Christmas! I’m so excited for Christmas! This is a great post! Definitely checking out these products. Me too! Glad you liked it! !